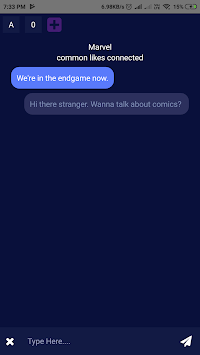 Make friends, flirt or talk about your interests with people who share the same interests on this feature rich Omegle Client app. -Chat with multiple strangers at the same time - We have a tab based chat. You can open multiple tabs. Each tab has one stranger talking to you. You can switch between them at real time. -Similar Interests- Find Strangers based on your similar interests. 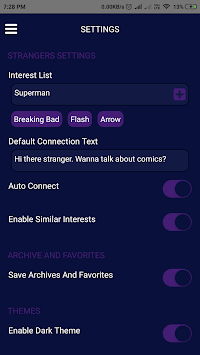 -Default Connection Text - You can set your default connection text that will be sent to the people you connect. - Auto Connect - You can enable the auto connect feature from our settings. 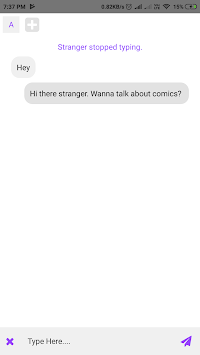 It automatically connects to a different stranger to talk to in case the first one disconnects you.